Petty Officer Jodie Jaffe brought her war dog home after they were both blown up on a SEAL patrol. But her dreams of a normal life are shattered by her dog’s PTSD nightmares. SEAL Team 6 dog-handler Stan Corman left his war dog’s ashes and a part of himself overseas. 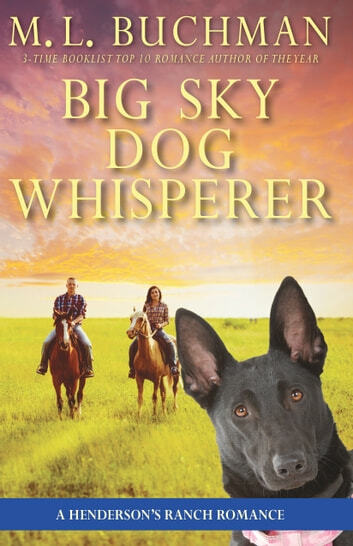 For three years he’s been training new dogs under Montana’s Big Sky. Knowing he’ll never be whole again, he hopes his dogs can save lives even if he no longer can. But when Jodie brings her damaged dog to the ranch, Stan faces far more than he counted on...or knows how to handle. I absolutely loved this book. It was a great ending to the Henderson's Ranch series. The main characters were interesting, and I loved all the visits from other characters that are in crossover series! I'm sad to see it end, but it was a beautiful finish.